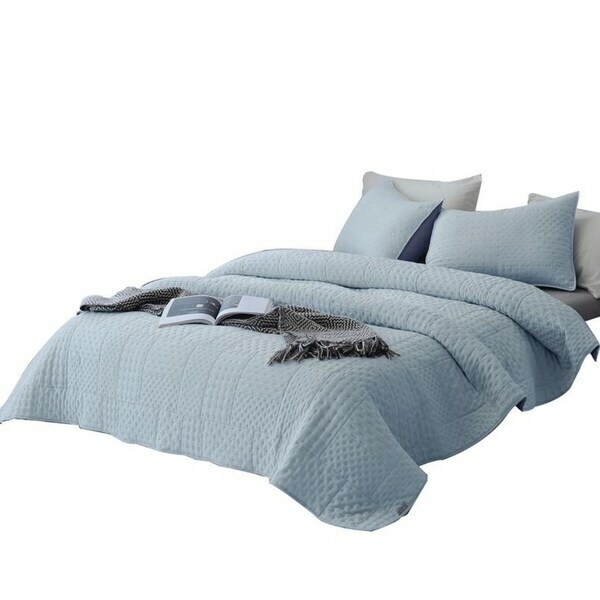 Simple and Modern Living - Our Stylish and Contemporary Quilt Set is made of Premium Quality Polyester with heat pressed Design to add Comfort and Modern-Luxury to your Bedroom. Technique - This 3 Piece quilt set is designed using stone-washed technique from 100 -percent microfiber, and designed using heat-pressed process to give an extra lavish look and feel. Comfort All Year Round - Perfect for All Seasons, this trendy Quilt Set with Rich Look and Design is a must have Comfort piece for a Modern Home and Living. High Quality Material and Easy Care - Polyester with Polyester Filling and Machine Washable.